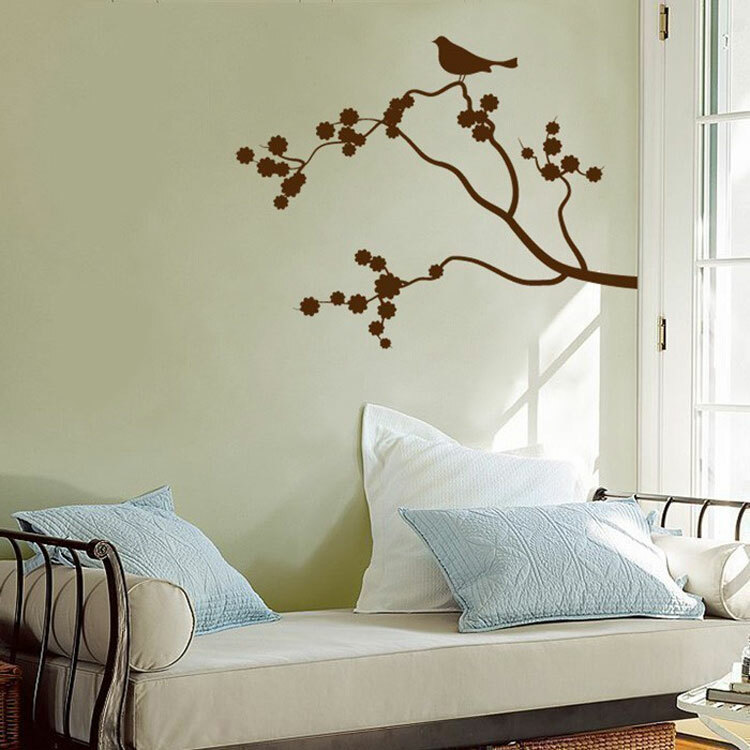 *Only three birds are shown, but this cherry blossom branch wall decal comes with a total of FIVE! This cherry branch wall decal measures 42" wide by 31" tall and is shown here in dark brown. You can also select a separate color for the birds, if you like! If no color is selected, the birds will be made in the same color as the branch. This branch wall decal comes in 2 sections, which makes application much easier! If you need a different size, please contact us first as pricing will vary. Finishing touch to my son's nursery! It is great!! The colors are more than perfect and it came with so many stars! Thanks Dali!